Please call at least one day in advance to schedule your ride. By van or larger "Belderbus" we can provide pre-arranged transportation for individuals or group-shopping trips. Please note that medical rides supersede all others. $4 suggested donation to BelderBus. 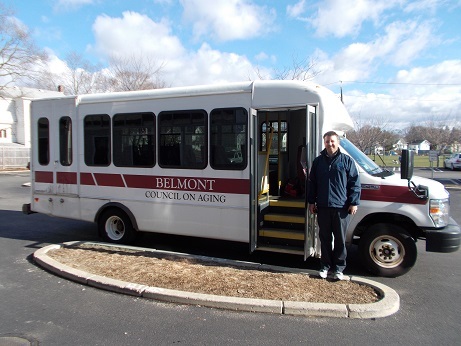 Belmont residents over the age of 60 or with disabilities are eligible. Reservation required: 617-993-2980. Market Basket: First and third Thursday of each month at 8:30 a.m. with 1.5 hours to shop. ​Star Market: Every Tuesday and Friday at 8:30 a.m. with 1 hour to shop. Please note: We are not allowed to physically assist people into or out of any vehicles or buildings, due to strict liability insurance regulations. If you need physical assistance, please contact Springwell Services or another service of your choice.